I called A&D as the MOT on my car had expired and they managed to fit me in that same day. I have used them in the past for repairs and services and the service has always been first class. I will use them again and again. Here at A&D we understand just how annoying MOTs can be! Costly and inconvenient, MOTs are too often the bane of drivers’ lives. In order to minimise the stress, expense and anxiety associated with vehicle MOTs we have worked hard to streamline the process. We've also put together some answers to common MOT questions. Not only will we contact you when your vehicle is due for a MOT test, we will also strive to provide you with a time slot which works for you. 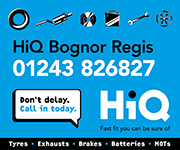 Meaning you can get on with your day safe in the knowledge that your vehicle(s) are being serviced by the best in the business. Do not fret, whether you have a smart car or extra long wheel base Mercedes sprinter, we can MOT it. Not only do we have the longest MOT ramp in the area, we employ a team of highly-skilled mechanics who have yet to come across a vehicle they could not work with. And remember, we provide a complimentary four-wheel alignment check with every MOT and Service, helping you save money by minimising tyre wear and cutting fuel consumption. Check out our latest MOT offer!